What Should You do as the Client? Sometimes, the actions or steps of the accused can lead to a dramatic lessening of his or her sentence. What are the recommended actions from the attorney to improve on the case outcome? Do you have any other records or information that the lawyer might need to present before the court? Will enrolling in any counseling, classes, or drug rehabilitation programs lessen your case sentence? What are the roles you are likely to play in the trial as an observer or as a potential testifying witness? As far as strategizing is concerned, the lawyer should have his or her own preliminary evaluations of the case against you. The attorney should be in a position to tell you the available defenses. A vast majority of criminal cases are settled through negotiations instead of going through trials. One will require skills in the determining of a fair plea bargain. The experience and knowledge of an attorney are paramount and essential here. The first factors to consider in most cases will include the attorney’s careful evaluation of the strength of the case and the odds of either winning or losing at a trial. It is after this that you and the attorney can balance the uncertain sentence. Are there any defense investigations that should be done? How much will they cost? Are there chances of you hiring an expert witness to testify at the trial for you? What is the approximate duration of the trial, and how much are you likely to spend? The attorney should alert you if there are any sentencing alternatives for which you may be eligible. 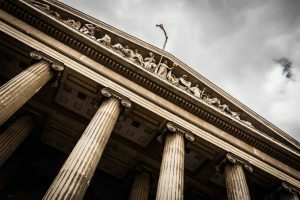 In some situations, there are some creative or standard probationary terms that may be preferable to the accused that may satisfy the prosecution and the court’s concern. You may be allowed to receive lesser sentencing. Different clients want a different outcome. Some of them want to avoid jail, avoid fines, or keep their driver’s licenses. Others just want to stay in the country. If the attorney understands the goals and needs of the client, it is even easier for him or her to craft alternative sentences that will protect the most important concerns of the client. Your lawyer is obliged to ensure that due process is at your disposal and that your constitutional rights are not violated. Having answers to these questions makes you knowledgeable and confident to proceed with your case. You are sure of receiving defense and representation that is effective. This means it is crucial you seek the services of David Freidberg Attorney at Law. Reach out at 312-560-7100.